Sip, Sip, Hooray! You're getting married! 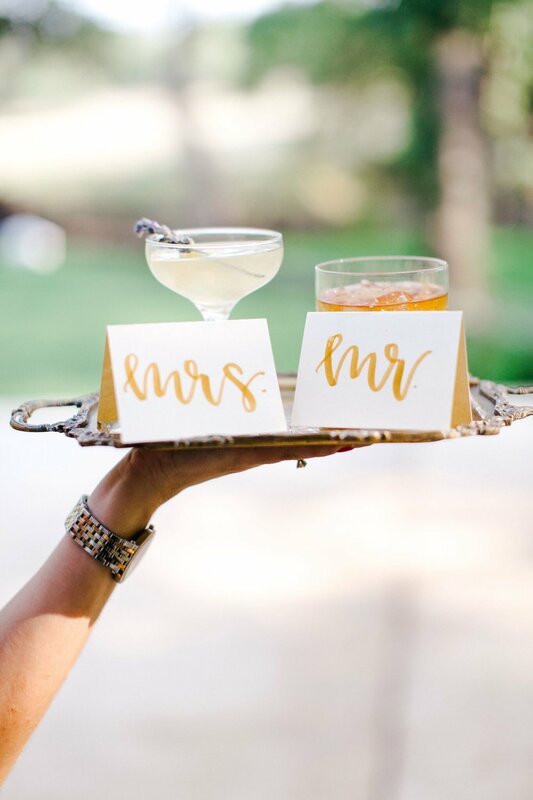 To us, bubbly is a must for any CELEBRATORY OCCASION and a nice glass of wine is a fan favorite while attending a fancy affair but what screams you're married more than a his and hers cocktail?! Today, We are sharing four of our favorite signature cocktails from our EXTENSIVE cocktail menu. 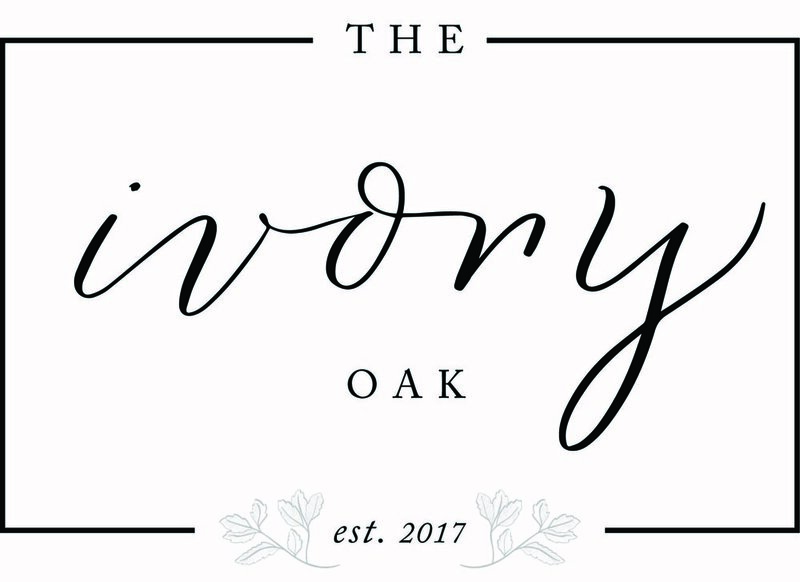 We love to support local businesses and even offer a full bar package with all local texas wines, beers and liquors for your wedding day. A mix of Whiskey, Honey Syrup and Ginger Beer make up this delicious cocktail And a Candied Ginger Garnish a this picture perfect cocktail for your guests! We love a margarita and we love sangria...so much so, we decided to marry the two for one mouthwatering cocktail! Combining a Dry White Wine, Tequila, Triple Sec, Orange Juice, Lime Juice, Fresh Orange and Lime Slices and Cilantro, this drink will have your guests falling in love with your texas style. We sure do love a cocktail that looks and tastes good! 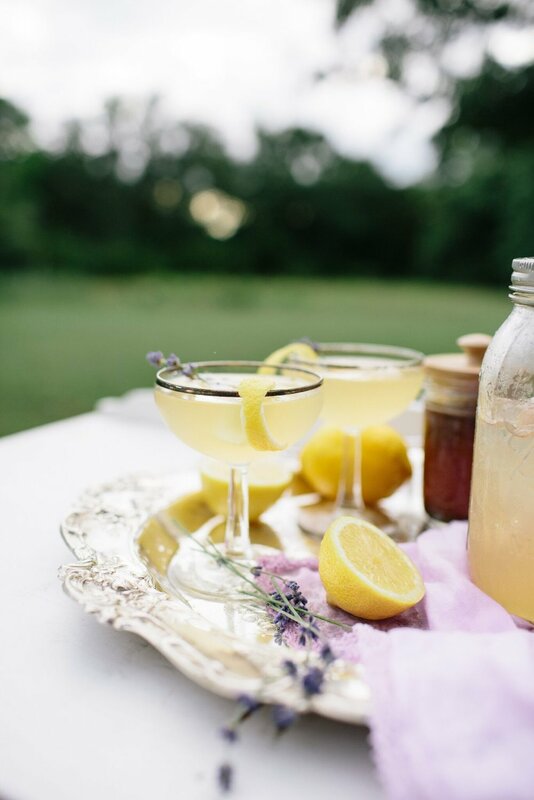 This cocktail features A glass of Sparkling with Blackberries and a THYME Garnish, adding the perfect bit of sweetness to your wedding day. Some may recognize this drink as an old fashioned. we just added a little twist to the name :) With Bourbon, Orgeat, Simple Syrup, Orange Juice, Lemon Juice, Mint, an Orange Slice & a Cherry for Garnish, you can have a delicious refreshment all evening long! Wedding Invitations: A Few Beautiful Ways To Invite Guests To Your Hill Country Wedding!